Having over 30 years of sales experience in a variety of sectors and having worked with over 150 businesses through Boost Business Lancashire, Stephen Leishman is passionate about helping companies transform their sales and customer service teams. ‘Sales’ is a process and should be practiced ethically. Stephen is helping professionalise the sales industry and instil confidence in people to move away from ‘Bully Boy’ sales tactics to offer their customers what they actually want and need. Through over 30 years of sales experience Stephen is able to share situations and examples of how to grow your sales and how to create more loyal customers with excellent results. Stephen still sells for companies on a daily basis so he doesn’t just teach these skills he uses them daily, working globally for a range of sectors and brands. Stephen is always current with his skills and knowledge which is to the advantage of businesses receiving support from Selling Sells. Investing in your sales strategy is key to the future success of your company. Investing time into staff training is crucial to the growth of your company. Understanding your business needs for your team and your company is essential to business success! Stephen specialises in the engineering & manufacturing ‘product’ based industry and the digital, creative, hospitality, tourism and entertainment ‘service’ based industry. With excellent feedback and testimonials from hundreds of companies throughout Lancashire and further afield who have all experienced Stephen as a mentor, a coach or joined in one of his inspiring workshops. 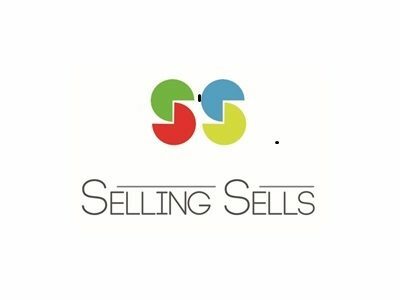 Stephen of Selling Sells can help your company grow and is more than happy to try and find you funding which may be available for you to initially try his services for free. Be open minded and put the customer at the centre of your whole strategy. Lancashire is a friendly place for business with lots of support available. Having worked closely with over 100 companies and in groups with over 250 I have witnessed the benefit of companies realising their potential through training and mentoring. Without Boost I believe many companies would never have gained the support which has undoubtably proved invaluable for many companies wanting to grow.